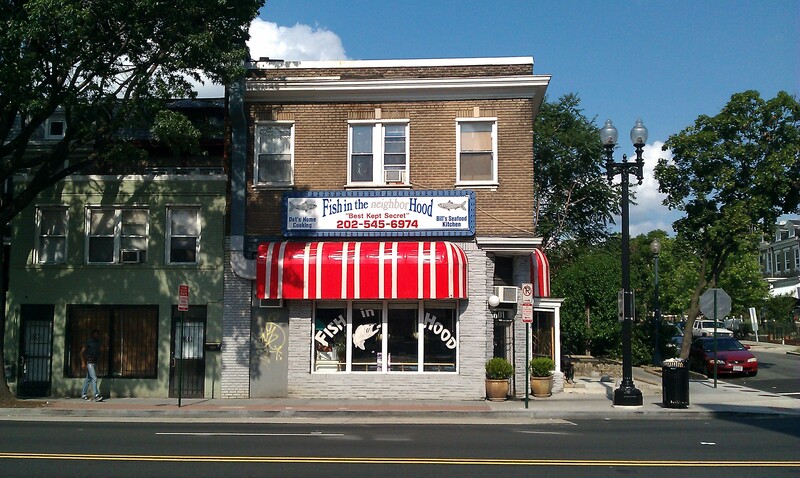 Community Involvement | Park View, D.C. 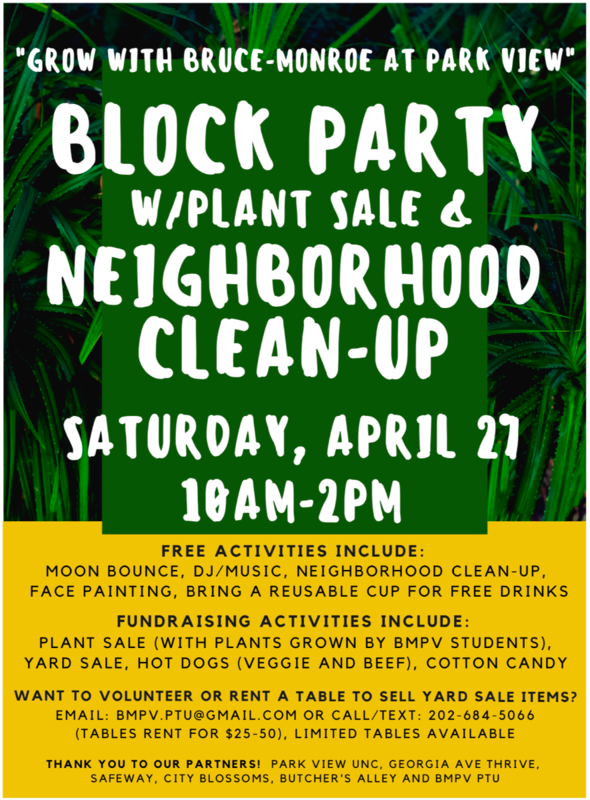 This coming Saturday, April 27th, please join your Park View neighbors for an Earth Day celebration! 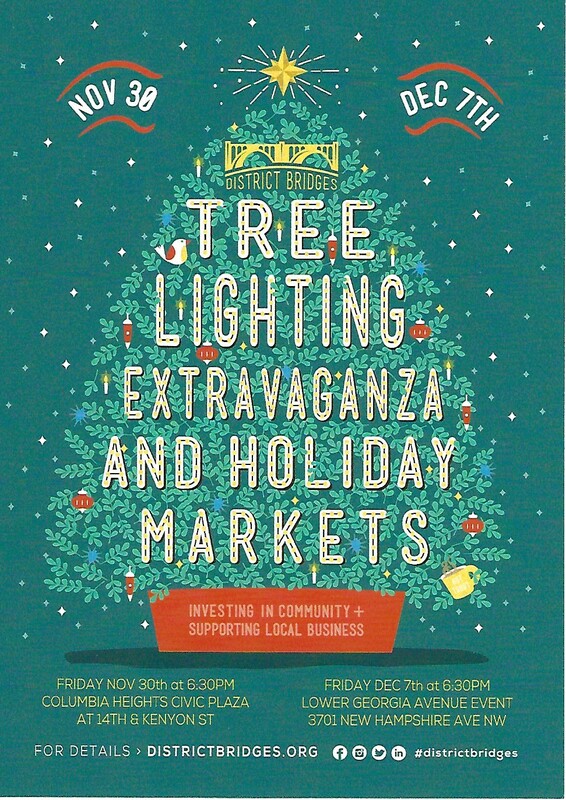 We’ll participate in a clean-up and then party with a BBQ, bounce house and more. 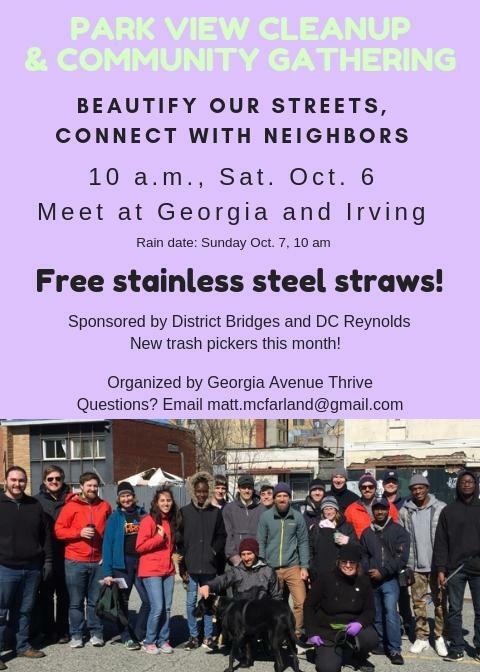 Neighborhood Clean-up: Meet at the Rec Center (corner of Warder St. and Otis Pl) from 10am-12pm to beautify the rec center, plant flowers and pick up trash. I find there is much to be gained by getting to know our Councilmembers, and not just our Ward Councilmembers. 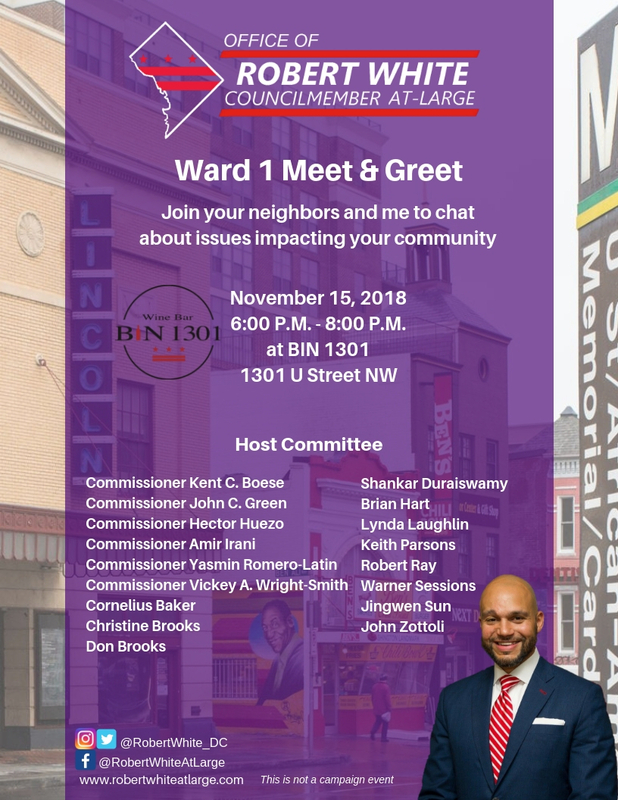 Robert White, one of our four at-large representatives, will be at Bin 1301 on U Street this Thursday from 6-8 pm with the sole purpose of getting to know the residents of our communities better. I encourage anyone who has the time to stop by and talk to Robert. I’ve found him to be a stand-up guy from day one. 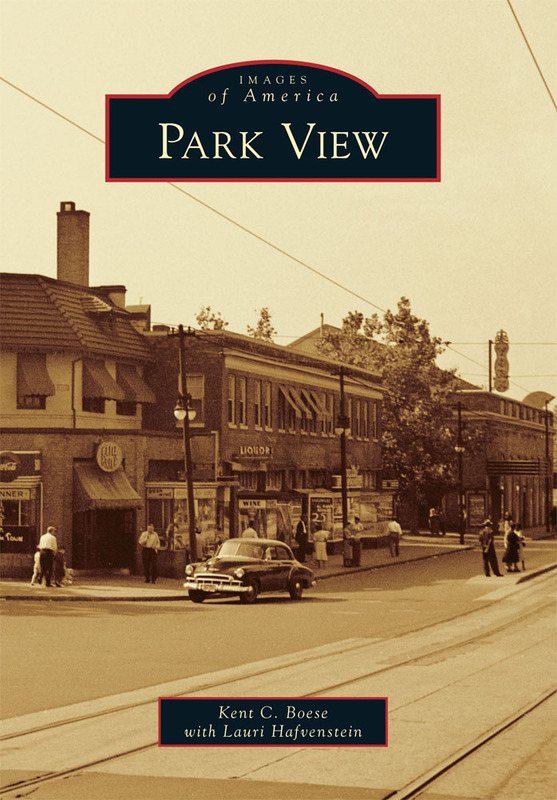 Next Park View Clean Up is Saturday, November 3rd! 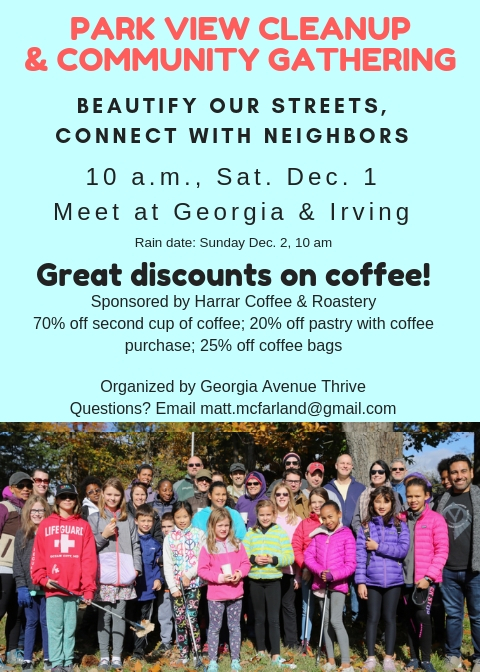 Georgia Avenue Thrive will hold its next cleanup at 10 a.m., Saturday Nov. 3rd (tomorrow) at the corner of Park Place and Quebec Place. 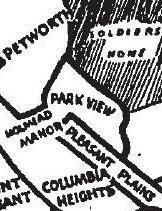 This clean up will spruce up nearby Park View streets until 10:40 alongside of volunteers from Friends of the Soldiers Home. Following 10:40, the clean up will proceed to the Armed Forces Retirement Home and clean up the grounds until 11:20. 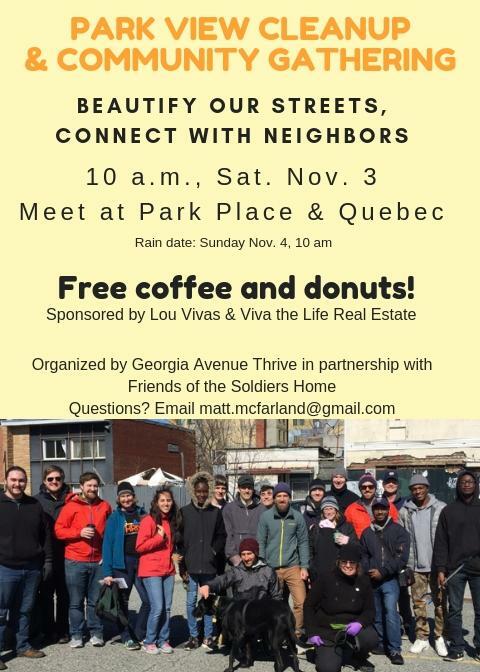 Following the clean up, Lou Vivas of Viva the Life Real Estate will provide coffee and donuts as a thank you. Volunteers can relax at the picnic tables, enjoying food, conversation and the beautiful, early November foliage.